le jeu est vendu sans boite. Blue vs. Gray is a critically acclaimed grand strategy card game for two-to-four players that recreates the American Civil War from the opening battles to the bitter end. The Union forces drive on the vital centers of the South as the Confederates counterstrike boldly while struggling to survive. Each player controls either the Yankee or Rebel armies. 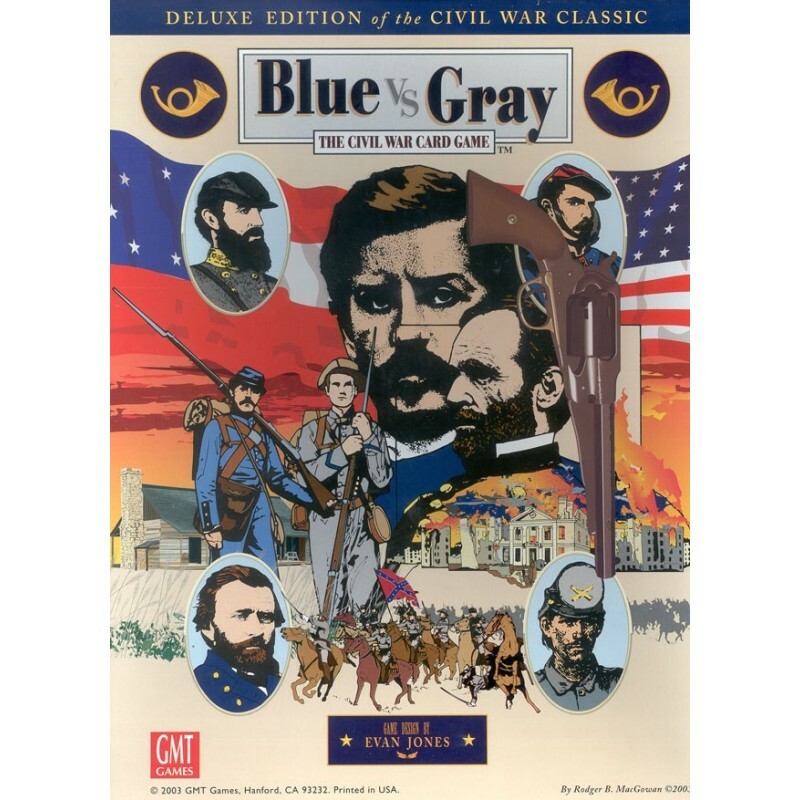 Every USA (Union) corps and every regular CSA (Confederate) division that fit the war is included in the game, as well as major commanders and cavalry on either side. Leaders are rated for strength, initiative, and command capacity. Commanders and their units all have informative bios and a list of major engagements fought as well as contemporary photographs, battle flags, or corps badges. 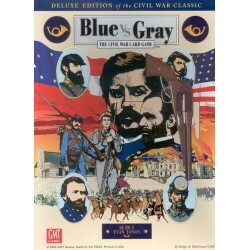 GMT Games' Blue vs. Gray is playable in a single evening, with most games lasting around three hours. The objectives and play balance are finely developed reflecting the unique strengths and weaknesses and the similarities and differences of the opposing armies. Armies are created by playing Leader cards to the board and assigning corps or division cards for them to command. Using a simple, innovative combat system, the North (Union) must destroy and occupy the South (Confederate) before the Northern will is sapped, while the South must either withstand the onslaught until President Lincoln's unpopularity leads to his downfall or turn the tables by invading the North and ending the war with victories on enemy soil. The Enigma® cards include dramatic events that changed the course of the war, such as Emancipation, Copperheads, Draft Riots, the 1864 Elections, even the notorious rebel spy Belle Boyd and the hair-rising Rebel Yell!